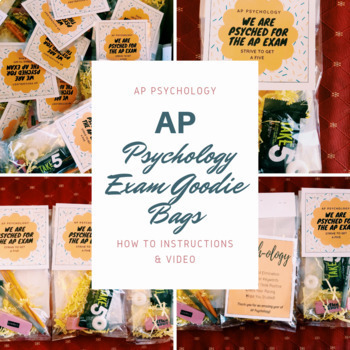 The day before the AP Exam I gift the students a goodie bag for encouragement. The students love it and it is the perfect gift to show how much you care about their success on the exam. 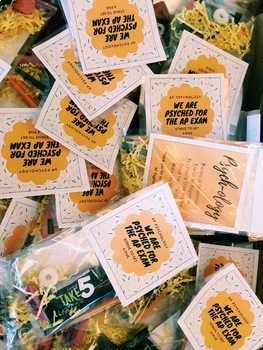 I made step-by-step instructions and a video to show you how to recreate the pictured goodie bags for your students. List of Supplies to Include in Goodie Bag (Costs Included). Cost will depend on how many bags you make, I spent $15 total.